Part 4 is the Lord’s Supper Instituted. This is taken from Matthew 26:20-35. 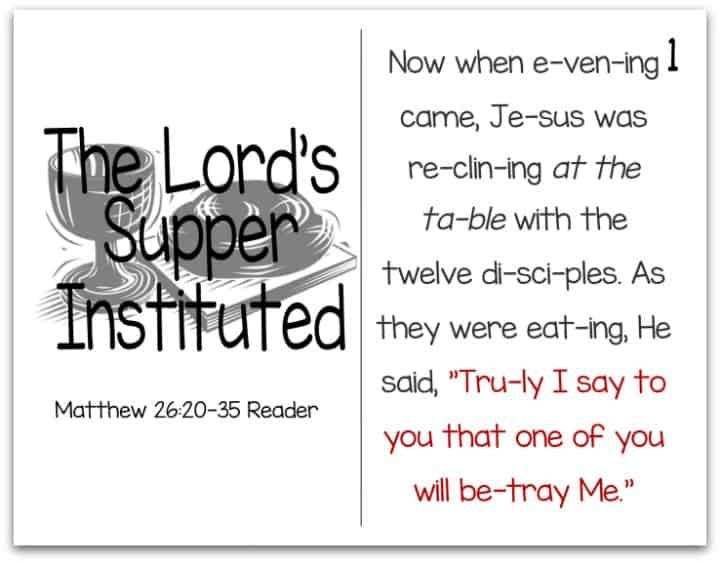 It tells the account of when Jesus has the Last Supper with the disciples and institutes the Lord’s Supper for us today. Tony Kummer (Editor) reviewed & updated this page on : March 16, 2016 at 11:25 pm. All our content is peer reviewed by our readers, simply leave a comment on any post suggest an update.